Do We Need Wedding Insurance? 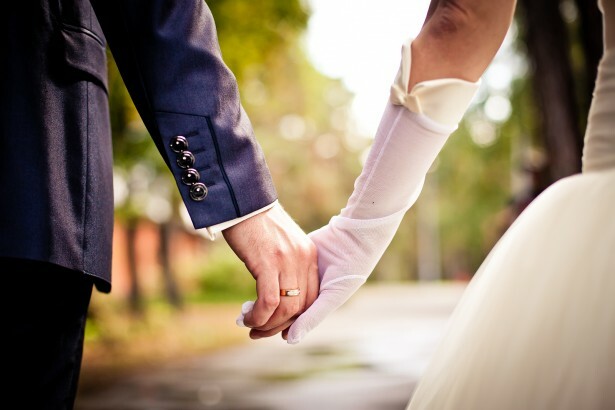 Our Wedding Date Blog > Do We Need Wedding Insurance? Weddings are a big financial and emotional investment. A wedding is often the third largest purchase for a couple after their house and car. So it is very sensible to take out wedding insurance to protect you financially if your wedding day doesn’t go as planned. After many months of meticulous planning to ensure everything runs smoothly, there are still many things that can go wrong on your big day that are out of your control. What if your wedding venue became unavailable, your wedding cake was damaged or your DJ didn’t turn up? Wedding insurance gives you the comfort and peace of mind to know that you can re-book without any expense, or get a refund. What is covered by wedding insurance? Wedding insurance policies vary between insurance providers and you can choose a level of cover to suit your needs. Just make sure you fully understand what is and isn’t covered in your policy. Cancellation or postponement of your wedding due to venue availability, bride and groom illness which requires hospitalisation or extreme weather conditions. Damage to furniture and other items that you have hired for your big day. Damaged or stolen items such as your wedding rings, gifts, wedding attire or photographs and videos. If a supplier lets you down, wedding insurance can cover lost deposits and additional costs needed to rearrange an alternative vendor. If your wedding car doesn’t arrive or your photographer loses the photos, the wedding insurance would cover the cost of a re-shoot. Damage or injuries that occur because of your wedding that you are liable for. Some policies will also protect the bride and groom’s home and contents if their home is burgled while they are on their honeymoon and their wedding gifts are stolen. What isn’t covered by wedding insurance? Wedding insurance covers you if things go wrong, it doesn’t cover a change of mind, so any costs incurred by the bride or groom deciding not to go ahead with the wedding will not be paid. Most policies also won’t cover cancellation due to an existing medical condition. If you decide to take out wedding insurance, just make sure, as with any insurance policy, that you read the fine print, especially for a destination wedding. Some Australian wedding insurance companies only cover weddings in Australia. Should we take out wedding insurance? Compared to other wedding items, wedding insurance is fairly inexpensive and can cost from as little $200. This is a small price to pay for the peace of mind of ensuring your day runs smoothly and is something you should seriously consider.